In stock -This product will ship today if ordered within the next 7 hours and 19 minutes. 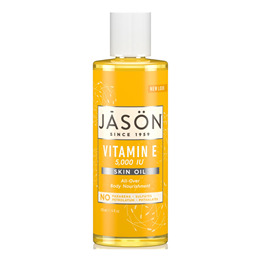 Jason Vitamin E Oil bathes your body in healthy, antioxidant-rich moisture. Pure vitamin E oil plus 5 essential natural oils of almond, apricot, avocado, sunflower and wheat germ renew skin`s softness. Use alone on dry spots all over the body, or add a few drops to your favourite hand and body lotion. Helianthus Annuus (Sunflower) Seed Oil*, Carthamus Tinctorius (Safflower) Seed Oil*, Tocopheryl Acetate, Oryza Sativa (Rice) Bran Oil, Persea Gratissima (Avocado) Oil, Prunus Amygdalus Dulcis (Sweet Almond) Oil, Prunus Armeniaca (Apricot) Kernel Oil, Triticum Vulgare (Wheat) Germ Oil, Benzaldehyde, Lecithin. Gently massage on face, body and hands. Reapply as needed. 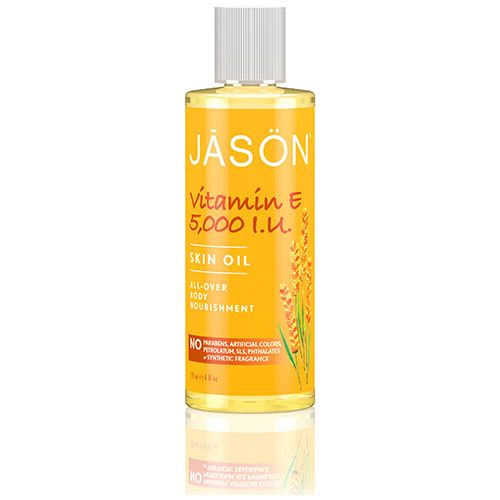 Below are reviews of Jason Vitamin E Oil 5000IU - 118ml by bodykind customers. If you have tried this product we'd love to hear what you think so please leave a review.